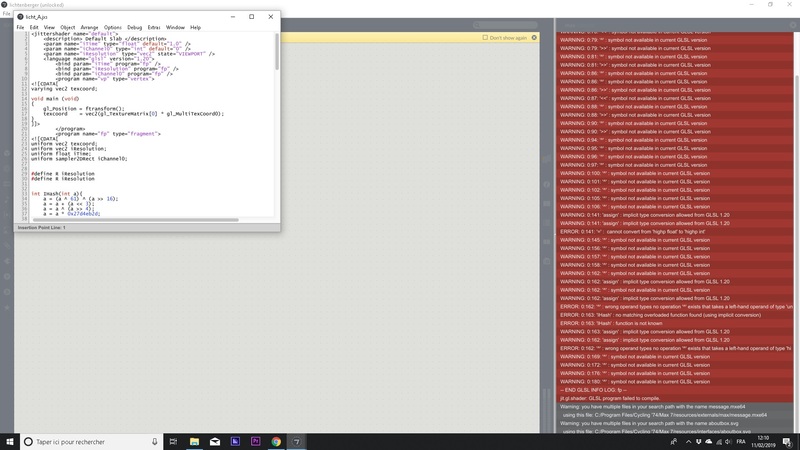 I'm trying to translate a shader from shadertoy ( https://www.shadertoy.com/view/3sl3WH ) And I have these errors in Max 7.3.5 (see the pict). My question, can it be solved? If I download the last version of max maybe?